Crisis reveals how we are anchored; disclosing our learned tendencies. Let us not fool ourselves thinking some people are born with the propensity to firmly anchor their lives to higher and holier desires because they were lucky recipients of good genes. The anchors of our life are learned, living life, sometimes in the halls of a cave. Then, when a crisis presents itself, our anchor holds to the rock because we have spent our life making sure that anchor is ready to hold. We either allow experiences to reinforce our drifting ways, or we learn from our experiences and take measures to more firmly anchor our lives, so we may face future crisis with greater buoyancy. Three thousand years ago, Saul pursued David in the Judean wilderness. 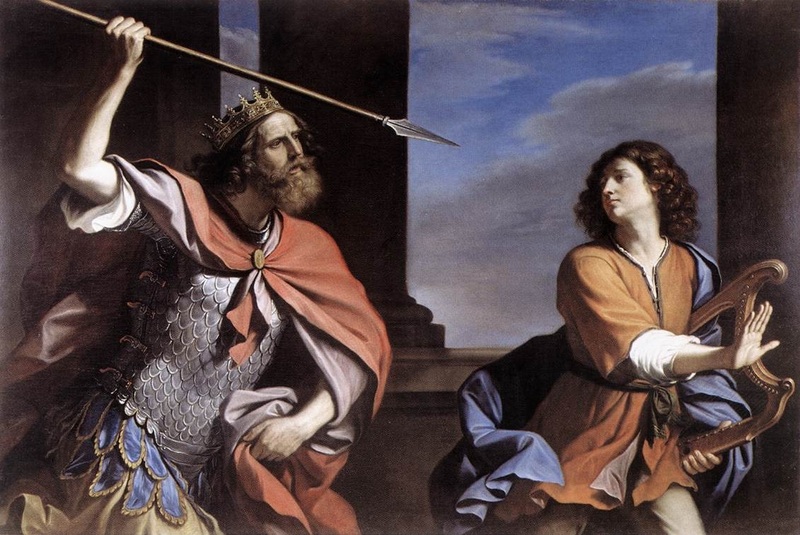 Saul realizes David is God’s man and he couldn’t deal with losing his people’s hearts, so he chases him, hoping to extinguish a political threat. David and six hundred men come to En Gedi, an oasis on the western shore of the Dead Sea. The barren limestone mountains rise up from the shore, they are laced with steep ravines and honeycombed with caverns; made to order for a man on the run. 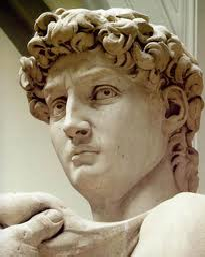 David and his men find a cave large enough for 600; and they hide in the angles and passageways. David has been nothing but loyal to Saul. He put his life on the line facing Goliath, he played the harp when Saul got a migraine, and led Saul’s troops into battle knowing Saul was scheming his death. The gratitude he receives for loyalty is to be a fugitive from the man he had faithfully served. 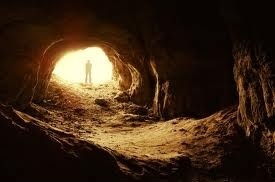 Back on the mountain, Saul hears nature call, he steps in the cave. The Hebrew says, “to cover his feet”. Modern translations are clumsier, but we get the point, the king is us in this moment. The chronicler depicts Saul as vulnerable as he seeks to rid of David in many un-king-like ways. Saul doesn’t know the man he seeks is hidden by the rocks and darkness. David is presented with an opportunity to hasten Samuel’s prophetic choice that would make him king. His men encourage him, covering their desire for revenge with a thick coat of religious varnish. David moves toward Saul; carrying a stiletto and his own destiny in his hand. David wants to end this pursuit. But, he makes his point by cutting off a piece of Saul’s clothing. At once, David has serious pangs of conscience. He tells to his men he was wrong to show the king disrespect, it wasn’t his place to exercise justice. Cutting off a corner of the royal robe was an act of physical and spiritual vandalism; an attack on Saul’s right to be king. David is struggling to balance loyalty to Saul with his sense of justice. We will spend these weeks exploring how to hook anchors firmly onto the Rock that holds; unpacking each anchor. May we remember how each anchor interacts with other anchors! The challenge of an anchored life is seen as David has to assess how being anchored to loyalty to his king is balanced with the anchor of justice. 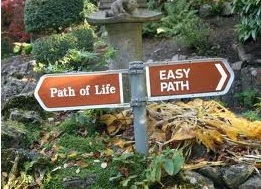 An anchored life requires us to anchor firmly to many virtues; not promoting one virtue at the expense of another virtue. These recent weeks we have seen at Penn State how blind loyalty to a program and person caused good people to compromise truth-telling. Their athletic program fostered the building of young adults at the expense of vulnerable children; causing a cover up, so they could continue to build budgets. We can love something while disregarding the love of somebody. David works his way through this situation because he was anchored to another virtue too-patience. David knew Saul was wrong, and he plainly says so. Still, he refuses to rush the timeline; knowing his perspective is clouded. Patience requires David to trust God would take care of the injustices when it was time; causing David to let go of outcome, and believing he will ascend in God’s time. God didn’t need David’s help. To un-anchor from patience to achieve a certain end, like justice can tempt us to cut corners. The breeding ground for dumb decisions is a lack of patience. Our too quick answers can ignore other basic anchors. God’s purposes are more easily realized when we anchor our lives to all required virtues needed for that moment. In a case like this one, we remain loyal despite injustice because we refuse to impatiently descend to places we would not otherwise go. 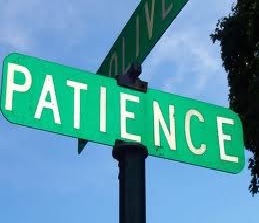 Patience requires us to not go to a place by our own will, but remain in place until we know God’s will. We cannot reduce loyalty to a simple formula; like either you are loyal or you’re not loyal. Loyalty lives in relationship with being grateful for what has been done and what we have, and the patience to trust, and proper sense of justice. We can learn to more firmly anchor ourselves onto the rock that holds by doing the right thing in all regards in our own caves. A cave where our anchor of loyalty is often tested against other virtues is when a person disappoints us: in our families or among friends. We wish no one would let us down or turn against us, but it happens. This can chain us to the past and poison our actions; destroying from the inside out. While we have no control over what other people do, we do have complete control over how we respond. There are some rules of thumb to keep in mind when anchors, like loyalty, patience and justice being tested. B) Remain humble in the cave-Our example of remaining humble while holding to all the anchors is Jesus, who we are called to be like. He was reviled and reviled not, cursed and cursed not, and abused and refused to repay in kind. When he hung between two thieves, crucified for crimes he did not commit, he prayed for those who killed him, “Father, forgive them, for they do not know what they are doing.” He was a perfect example of anchoring himself completely to the Rock of Ages while severely tested. 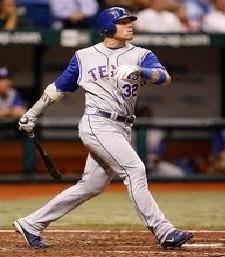 Josh Hamilton, the Ranger’s superstar, has spent his early years trying to firmly anchor his life. He and the Ranger organization are about to face a test. The club traded for Josh, knowing his history of addiction. They have stood by him during relapses and incidents we cannot speak. The team has demonstrated loyalty to their star player. Josh’s contract is up and virtue on both sides is about to be revealed. Will the Rangers stand by him, though he is in a terrible slump at the moment? Or, will Josh jump because another team offers to pay him a marginal amount more money than a team that has been incredibly loyal? The anchors of this relationship are being tested and we will see what hold in a few months. The anchors of life, like loyalty will face times of high winds and uncertain seas. In these times, we are to not let go of the anchor that holds our lives as we respond to this storm in life. If we un-anchor ourselves from any needed virtue because it expeditious or easy we could set ourselves unnecessarily adrift. 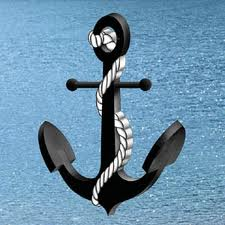 If we hold tightly to all the tried and true anchors this situation requires by trusting God, who knows best our lives. We will be anchored to the Rock that will keep us afloat in any circumstance of life. The Philistines stood on one mountain while the children of Israel stood on the other mountain. A large valley stood between them. The Philistines, a sea people, had come inland and sought to destroy the pesky Palestinians. 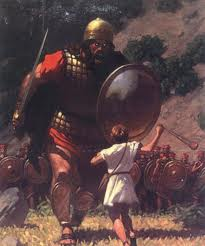 The Philistines, great warriors, were led by their greatest warrior, Goliath. 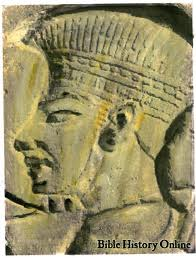 His helmet, armor and spear were so intimidating King Saul could not find any warrior to take up the fight to decide who controls both mountains, thus controlling the inland routes where traders passed. Worse, the losing people would be enslaved by the winning nation. King Saul and the people of Israel were so frightened they could do nothing, but presume defeat. Goliaths can be scary; they’re every bully we have ever met. They employ cowardly ways; controlling with threats. Anytime we use means to hurt in order to get what we want; our name may be Goliath. Anytime we’re scared by bullies and stand around complaining how there’s nothing we can do because Goliath is so big, our name may be King Saul. Anytime we stand up to some threat and trust God to help, our name may be David. We will only discover courage anchors life when we are pressed. Courage anchors the church; keeping us from losing heart and drawing the lines of fellowship to tightly. Big hearted courage works hard at including those outside our circle. Courage anchors the church; keeping us losing heart and compromising the fidelity of faith by rushing to take matters in our own hands. Big-hearted courage trusts God to provide in God’s time. The anchor of courage in the church is honestly fearful at times, but resiliently faithful all the time. Two words regarding courage being an anchor. First, courage anchors the church when we’re sure we don’t face Goliath alone. God takes sides. The golden thread in salvation’s story is God takes the side of the weak and powerless against the strong and powerful. David was convinced Goliath hadn’t picked a fight with Israel, but with Israel’s God, who would not abandon them. David was anchored to courage for his heart belonged to God. Whoever owns our heart, owns us. Wrongs last as long as the people are afraid to say no, so they can say yes to something else. The word no makes wrongs right. Communism didn’t fall because capitalism won the day. Communism fell because church ladies, line workers, and common people grew confident they were not alone and they courageously said no. These same folk in former communist nations everywhere are struggling to say yes to a new thing. Courage anchors our lives when our heart belongs to God and we know we are not alone. We will stand up against injustice and insist on remedy, when we know we do not stand alone. We will speak the needed word in the midst of confusion, when we know we do not stand alone. We can come along the side of someone when everyone else has faded away, when we know we do not stand alone. God is with us! Second, courage anchors the church when they are able to draw on lessons learned facing previous Goliaths. David learned to trust God tending his father’s sheep. On separate occasions, he was attacked by a lion and bear; teaching him the lessons one learns in days of danger or difficulty. Even at a young age, courage anchored David’s life. To David, Goliath was just another lion or bear to face with the help of a God. It is in times of crisis we learn new dimensions of trusting God. Courage does not become an anchor in a casual or accidental way. As we experience new aspects of God’s faithfulness, courage becomes a stronger anchor in our lives; building our resume’ of trusting God more and more. Courage becomes an anchor over the course of a lifetime of experiences where we learn God can be trusted and we are not alone. We won’t suddenly be anchored by courage when unexpectedly unemployed if we’ve not been a good steward of life while employed. We cannot expect to be anchored to hope when facing an alarming diagnosis if we’ve spent a lifetime sweating little glitches. 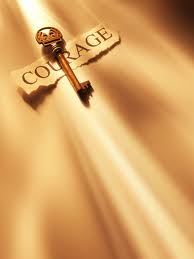 Courage begets courage; allowing us to intimately experience the nearness of God’s faithfulness. Dietrich Bonhoeffer, the Lutheran pastor and theologian, spent his life trusting God in difficult circumstances. Time and time again he stood up to the Nazi machine in WW II. He had to ultimately trust God in way none of us ever will; facing the death penalty for his stand. 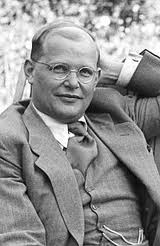 Courage became such an anchor in Bonhoeffer’s life that God used him to show how weak and foolish were the Nazi leaders. Through his life, the German people were able to see they need not be intimidated by such evil cowards. In the midst of facing crisis, Bonheoffer knew he was not alone and what he had learned would be used to help others. Courage is confident in a redeeming God who is faithful when the frightened call upon heaven for help. King Saul doesn’t get it. He offers David ill-fitted armor and heavy artillery to go into battle with Goliath. The scene is laughable-a smallish boy putting on the grown up armor; standing in place of a fear ridden army. It is ironic the persons who should be closest to God, namely the king, can’t see God at work. The person who gets it is a young lad, who embodied simple childlike truths; enabling him to demonstrate courage before Goliath. Courage has been an anchor at FUMC, Irving for more than a century; persons confident in God walking these halls. They are reminders to the congregation of lessons learned about the faithfulness of God who is always with us. Some of our anchors are sitting in the pews this morning. Don’t weary in doing good! Continue to help us not be tempted by the Saul syndrome; leaning to heavily on what is safe because of our unnecessary anxieties. Churches that are anchored to courage make a choice to live with the awareness God is constantly present; actively trusting God in the everyday things. They know they are walking on a path of trusting God that will lead them to trusting God in larger and sometimes scarier ways. I know we’re well intended when we speak of marketing the church to make it more appealing. But, it can feel like we are Saul dressing up David in his armor. Jesus would not engage a Hollywood Studio or Madison Avenue to get his message out. The power of the gospel is connected to we who have received the gift of grace by faith, and to offering it freely to others as God gave it to each of us. The more people demonstrate a trust in God as they face their own Goliaths, the more authentic our life changing message will be to those who need to hear courage can anchor their lives, no matter how large and intimidating Goliath may be to them. 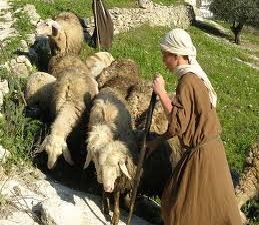 David ditches the gear, grabs his slingshot, and a few stones; simple things he knew best as a shepherd. 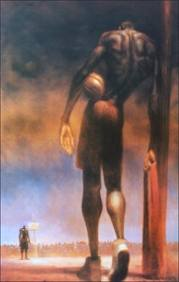 He walks toward Goliath with a heart attuned to God; facing him with courage that already anchored his young life. Goliath laughs; calling him a puppy dog. David shaking in his sandals did what the king and his army would not-STAND and TRUST God to provide as he hurled a stone. His shot landed on the mark and Goliath fell. I say with unashamed simplicity, when we stand and face the Goliaths in our lives with faith in our God we will not fail; and giants will fall. 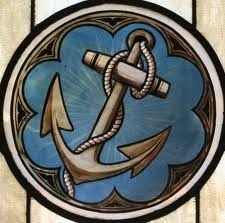 May we anchor our lives and church with courage; trusting in a living God as we sail together in the days ahead! I thank God for the courage that has, is, and will anchor the people who make up this Mother Ship, our portion of the Body of Christ called FUMC, Irving. Thanks be to God, AMEN! The waters may feel unchartered at time, but Christ is still at the helm. I hope you have heard by now that I have been talking about what it means to think of FUMC, Irving as a Mother Ship. If you have not, please know I want to have this conversation with every class, small group, committee, or any group that invites me. Make sure your group finds a time I can share with you, soon. Also, one of you will be giving testimony in worship each week; answering the question-How you see one of these virtues building First United Methodist Church? These six virtues are not exhaustive, but they are key anchors in the life of David, the Body of Christ, our church and lives; keeping us steady in our service. Explore the administrative workings and existing ministries required for the mother ship to sail. Take some missional adventure excursions. Foster relationships with other persons or vessels, so Christ’s fleet becomes stronger in her witness. Fellow passengers, the way forward is to sail together. I challenge you to make a commitment to this trip, so in unity we can fully explore what our church can be and do. Make a commitment to be present in worship for the next six weeks to celebrate the anchors of Christ’s church. The waters may feel unchartered at time, but Christ is still at the helm. In Star Wars, Luke Skywalker looks for Jedi master, Yoda. When, he discovers the diminutive knight, he is skeptical of his abilities. Luke judges what he sees–and as in today’s story, sight alone can’t always be trusted. Stories like Star Wars, or the tale of David chosen as king, have a way of speaking truth other forms of communication cannot. A great story shifts our imagination from the way we see ourselves, others and God in order that we might perceive new ways; rethinking what is important in a life, who is best qualified, and how God works in the world. 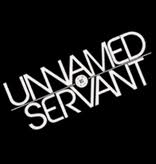 This series is set within the period of the United Monarchy. The story picks up in a time when things are not going well for King Saul. He disobeyed God; keeping the spoils of war. He compounds his sin by covering it up. He wasn’t keeping the stuff for himself; he was saving to sacrifice to God. Some things never change; but neither God, nor the Samuel buys it. 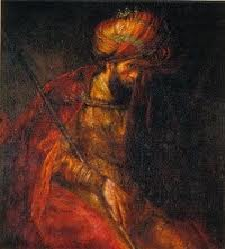 Samuel, in his first encounter with Saul is called a “seer”. Seeing is a key aspect in the story. Yet, we will learn we cannot always trust our eyesight. Saul was a people-initiated a king, not a God provided king. God regrets allowing it and rejects Saul. 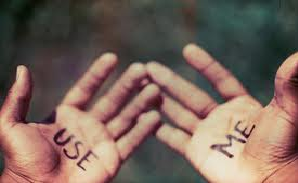 God says, “I have provided for myself a king”. The Hebrew word “provided” means “to see” or “I have seen to it.” God sees to it a new king will be appointed. Does it mean a God provided king will fulfill God’s purpose? That remains to be seen; and in David’s story, it is a little hard to tell. It is not hard to tell God sees differently than we. A parade of brothers begins. The eldest son, Eliab is the obvious choice. Eliab is a powerful man, who looks the part. Samuel is sure he’s the one, so he is tempted to trust what he sees, risking he might be deceived by appearance. Something told Samuel God hadn’t rested his hand on Eliab. In the quiet of his soul, he formed these words: “Do not look on his appearance or on his stature, because I have rejected him; for the Lord doesn’t see as mortal sees; they look on the outward appearance, but the Lord looks on the heart”. The parade continues; God rejects them all. Samuel asks if there are others. David, the youngest, the one deemed too insignificant to be brought into the company of the great prophet Samuel is summoned. Being the eighth child wasn’t much different from being a lowest of low in this culture. The shepherd boy is called and the Lord says “This is the one.” David’s outward appearance is noted, we are told he is ruddy, with beautiful eyes and handsome. This is the writer’s way of reinforcing God takes no notice of his looks, but only his heart, where others cannot see. 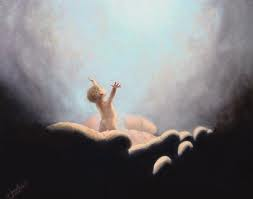 God choosing David, the eighth child of Jesse, as the next king of Israel stands in contrast to our culture that screams the world is for the people who appear to have everything. The story shifts our imagination to wonder what God sees, we cannot see. God has always delighted in being unpredictable in choosing people. We see it when Mary sings a lullaby; praising God for looking favorably on “lowliness, bringing down the powerful, and lifting up the lonely.” We hear it in the sermons of Jesus when he said, “the first will be last and the last will be first.” We read it in the letters of Paul when he said, “God chose the foolish in this world to shame the wise.” Followers of Jesus were not the best and brightest; they were outcasts, poor, insignificant, and uneducated, not persons you would expect to change the world. Please don’t be too polite toward the text today; inwardly nodding; agreeing God calls unlikely people. The practice of thinking the words are meant for someone else chokes out the possibility of real growth. God choses each one of us; looking on our hearts and seeing we have virtue to offer others that can anchor our life and theirs from this moment and into eternity. We tell ourselves there are other people more gifted and capable than we. We do so because we are blinded by life’s bumps and bruises, which keep us from being able to see clearly into our own souls what God sees. We’re blinded by our preconceived ideas, lingering doubts, or unnecessary anxieties that keep us from seeing what God sees in us. This inner dialogue prevents us from hearing the inward voice of the soul that says, God doesn’t look at what is happening on the outside of our lives. The evil forces in this world and our sinful choices can mar what God made; causing us to think God would not dare choose us. God’s grace is more than sufficient; making us usable to God for the sake of others. We can confirm God has chosen us by simply offering ourselves in deeds of love and concern to others. Try it today, tomorrow, and for a lifetime. Express outwardly what in good inwardly in your heart. How many of you have been surprised God chose you for a certain opportunity of service. You may have thought your gifts were not suited for the assignment, and God surprised you. God’s ways are always surprising ways. The kingdom of God is birthed out of a surprising choice-the Son of God rejects the riches of heaven and freely comes as a humble servant for the sake of every person. Then, Christ builds this kingdom on the back of a gaggle of Galilean fish folk and Palestinian peasants. Then, he invites you and me to follow in his footsteps and those of his first followers in humble ways faithfully offering our lives to others and they did. Go figure? 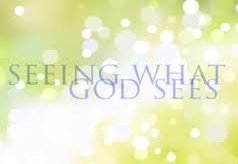 The only way we can figure this out is to understand that God does not look on the outward appearance, God looks within our hearts and see virtue that is needed for the call God issues in our lives. Our church and every church is a living example of the way God works. Christ’s church has been built by people who labor in anonymity. In our own church, we may not know names of people who answered the surprising call of God. Yet their contribution to the life of this church makes possible what we are blessed with on this day. 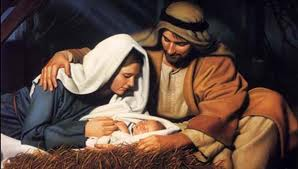 Some of them were the eighth child of Jesse, the last, but surprisingly God’s choice for the time. They demonstrated virtues that anchored this church for more than century. I invite us to think what it would mean to think of FUMC, Irving as a mother ship. I want to build on the metaphor over the next few months beginning by focusing on some virtues that anchor this mother ship over the next six weeks. We will walk through the life of King David; seeing how the virtues he demonstrated can help us hold steady in answering the surprising call of God in our church and lives. The six virtues we will reflect are: courage, loyalty, friendship, repentance, love and responsibility. These are not exhaustive, but they are key anchors in the life of David, the Body of Christ, our church and lives; keeping us steady in our service. David’s life was also marked by messiness. His heart was filled not only with the Spirit of God–but with lust, malice, anger, fear, doubt, deceit, and all the things that fill our hearts too. 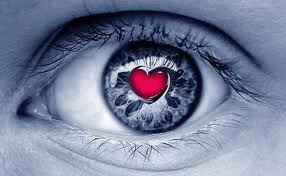 Yet, in his heart God saw something deep within; virtues that anchored him. In the same way, God sees virtue in our hearts that can anchor us as we answer the surprising call of God. We will expand the mother ship metaphor through the remainder of 2012. 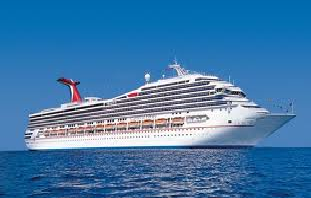 Besides looking at what it takes to anchor the ship, we will also explore the ministries required for her to sail, and what excursions are needed to keep her vital, and to whom and how can we can foster relationships with other persons or vessels, so the fleet becomes stronger in her witness to the God who fashions and sustain every ship and sailor. Church, I challenge you to fully exploring what we can be and do in these next months. Be present for the next six weeks to celebrate the anchors of our lives and Christ’s church.